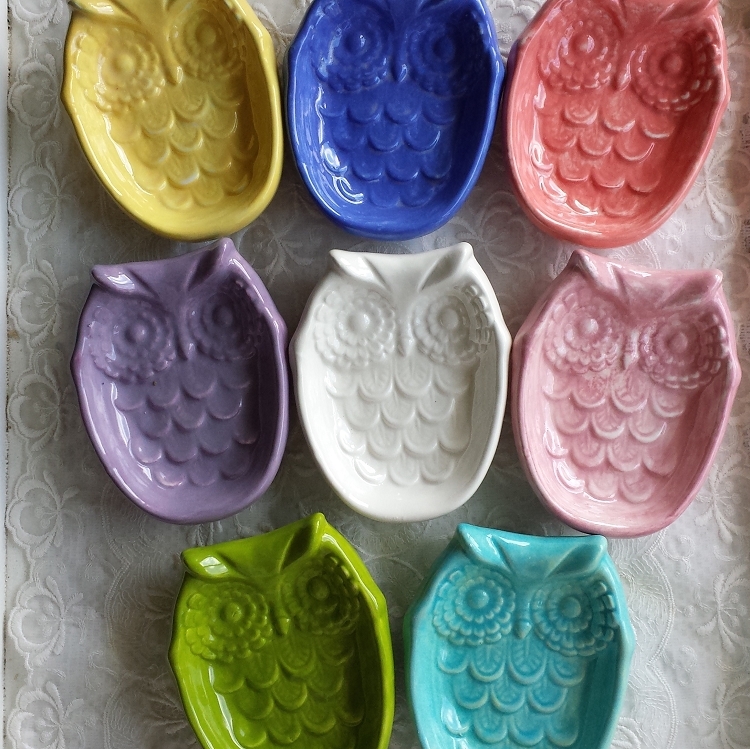 Owl Tea Bag Holder Spoon Rest Trinket Dish Soap Dish Owl Home Decor Owl trinket or soap great birthday or teacher gift too! owl measures about 4 3/4" long and 4" wide Each wrapped carefully with tissue and pretty ribbon! 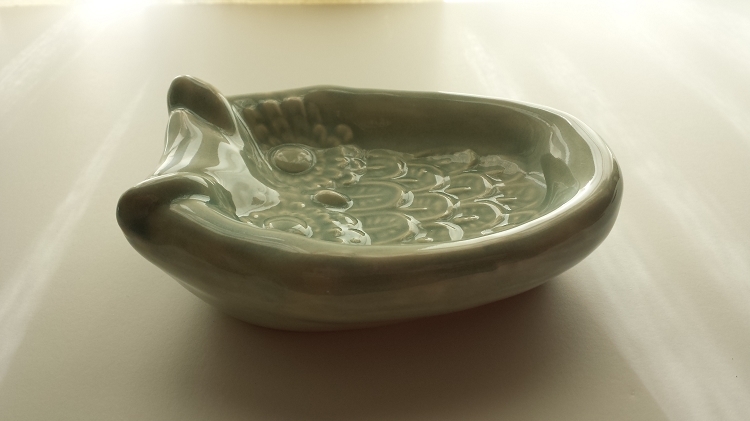 Should ship glazed in your color within a 4-5 days! These are made to order. If you need sooner please let me know! Price is for one!